Display and serve wine and liquor stylishly with this Bottega del Vino decanter America. Mouth-blown and hand finished, this decanter was beautifully designed by a sommelier. 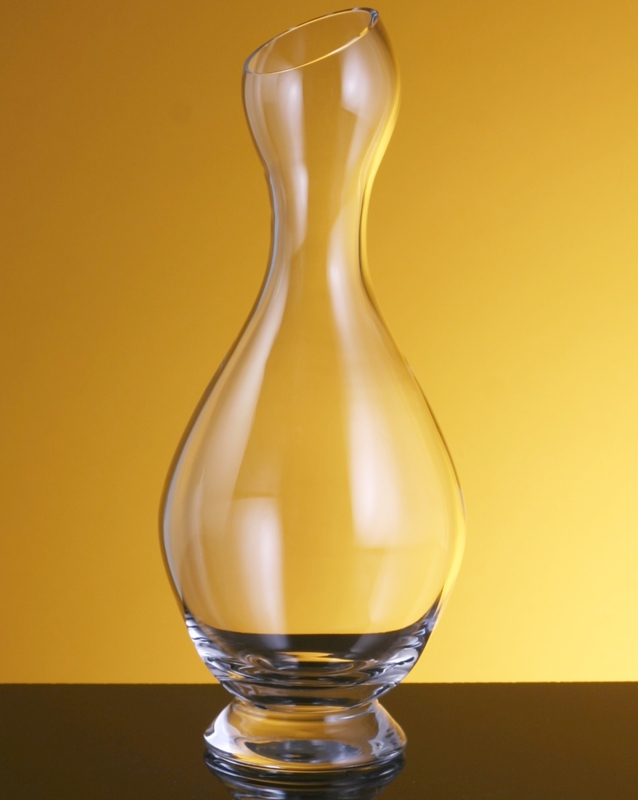 With elegant and graceful curves, this decanter is ideal for many uses. It is heavily footed for stability with a narrow hour-glass figure that will take up just a small amount of space on your dining room table. The crystal is dishwasher safe, lead-free and offers the finest presentation available for your wine.